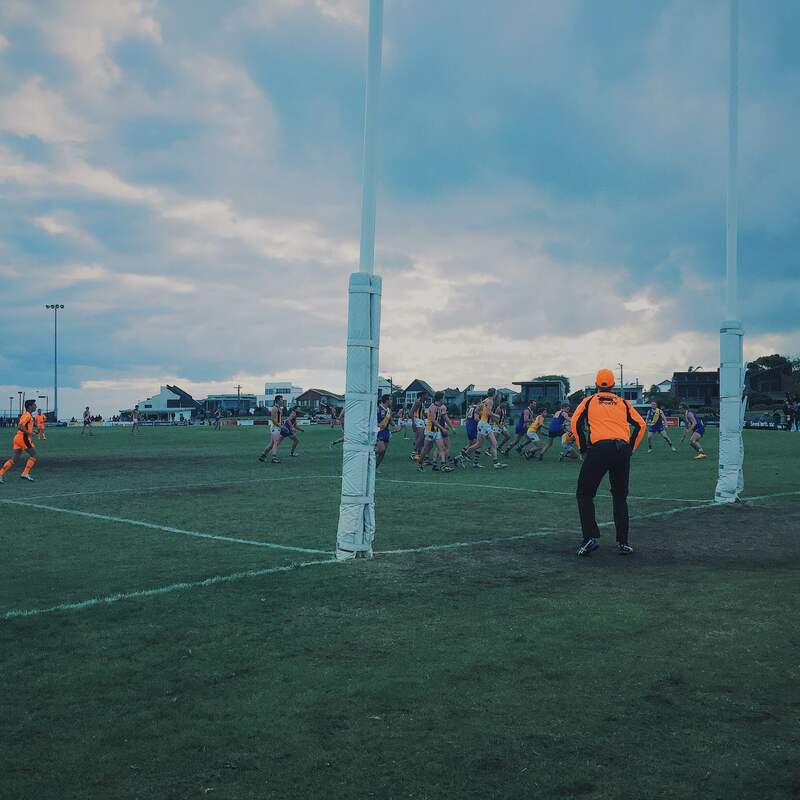 A convincing 58-point victory at Burbank Oval on Sunday afternoon provided the perfect 2015 homecoming for the Williamstown Football Club. 1. Anthony Anastasio – A dominating performance from Anastasio showed how vital he is to the side. Four goals and solid pressure placed on the Sandringham defence had him among the best for the Seagulls. The emergence of the 21 year-old as a key figure in the Seagulls attacking game is a bright note for the future, with Anastasio having only just ticked over the 50 game mark in his very young career. 2. Physicality rules the day – At times in the second quarter it looked like the clash was going to turn into a battle of fists rather than footballing wits. Spot fights erupted from both sides and Williamstown were able to make the most of the Zebras mental unrest to kick a pair of crucial goals to extend their lead back out to 17 points at the long break. 3. Clear messages – Andy Collins sent a clear message at the final change “Go out there is if the scoreboard is reading 0-0”. With a 57 point lead and the points in the back, it would have been easy for the Seagulls to hit cruise control in the final term. The Zebras registered 7 scoring shots to 3 in the final term, but were outscored 3.0.18 to 2.5.17, with the Seagulls making the most of their opportunities, at one point extending their lead to 66 points. 4. Touches in bunches – Ed Carr had 30 touches, Ben Jolley had 30 touches and Nick Sing had 20. When three players can combine to get the ball 80 times, you know they are going to be tough to stop. More impressive for Jolley was the fact he lined up against 149 game St. Kilda Veteran Clint Jones. This entry was posted in Published on xavierplayer.com, Written and tagged Sandringham Zebras, VFL, Williamstown Seagulls. Bookmark the permalink.